• What is the state of AAPI nonprofits in California and more specifically those in LA County? • How are they fairing compared to other/mainstream nonprofits? • Are they really more challenged and if so, why? By partnering with the Nonprofit Finance Fund as they conducted their 2018 State of the Nonprofit Sector Survey, we were able to gain a better understanding of the state of AAPI nonprofits. The survey data presentation PDF is available here. The webinar presentation on YouTube can be viewed by clicking the image below. This was made possible through the collaborative led by the Asian Pacific Community Fund, which includes the Center for Asian Americans United for Self Empowerment (CAUSE), Asian American/Pacific Islanders in Philanthropy (AAPIP), AAPI Data and Southern California Grantmakers with additional funding support from the California Wellness Foundation. We thank all our partners and funders for their participation as well as their care and concern for the AAPI nonprofit sector. We hope that this information will be helpful and used to address the challenges and needs of the AAPI nonprofit sector. Through a $75,000 grant from the Walmart Foundation, the Asian Pacific Community Fund (APCF) launched the API Benefits Bank program to provide much needed screening, access assistance, and case management in the Chinese, Filipino, Japanese and Korean communities. One of the greatest needs that transcends various Asian ethnic communities is access to public/government and community benefits and services due to cultural and language barriers. Language and cultural issues are huge barriers for Asian Americans in accessing benefits and services that they are eligible for. One in three Asian Americans is limited English-speaking, with one in four households as linguistically isolated. In Los Angeles County alone, there are 45 distinct Asian and Pacific Islander (API) ethnic groups speaking more than 28 different languages. Most governmental agencies do not provide services in all the languages necessary to serve those in need throughout the API community. Once a client is deemed eligible for a benefit or service, s/he faces an additional hurdle of “navigating the system” to actually obtain the benefit or service. APCF partnered with the Chinatown Service Center, the Filipino American Service Group, Inc., the Koreatown Youth and Community Center, the Little Tokyo Service Center, and Search to Involve Pilipino Americans to administer the API Benefits Bank program in each of the respective communities. The program also provided basic case management for clients, including information and referral, advocacy, coordination, follow-up, translation, and transportation for up to nine months as needed to access eligible and desired benefits and resources. In order to support recovery and rebuilding efforts for the survivors of Super Typhoon Haiyan, the Asian Pacific Community Fund (APCF) created the Pag-asa Fund in response, with Pag-asa meaning “Hope” in Tagalog. The funds raised were intended to provide hope for the survivors – hope that they will have a home again, have their basic needs met such as food and clothing, and ultimately to arise from this tragedy. The Pag-asa Fund aimed to invest in long-term efforts in Typhoon Haiyan-stricken areas, with funding going to organizations that are on the ground and making an impactful difference. It has become apparent in recent years following Katrina, Sandy, Haiti, and Japan among others that very little funding continues after 90 days. However, the recovery and rebuilding of these communities may take years. 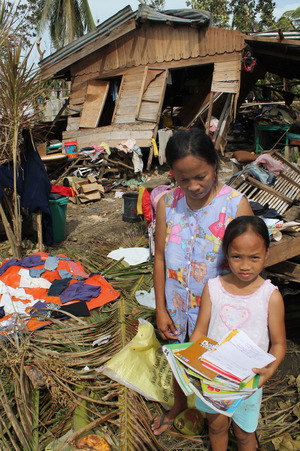 With long-term impact in mind, APCF ensured that 100% of all donations were directed to organizations providing aid and assistance in recovery and rebuilding efforts in the Typhoon Haiyan-stricken areas, with APCF absorbing all its administrative costs. *From the UN Office for the Coordination of Humanitarian Affairs published on 11/13/13. As a 501(c)3 non-profit organization, the Asian Pacific Community Fund (APCF) provides fiscal management to other organizations and emerging foundations. In addition to lending legal status as a tax-exempt organization in order to raise tax deductible support, APCF also offers administrative support, including accounting, payroll, and other technical assistance, for a nominal fee. Sponsored organizations can increase their efficiency, as APCF’s fiscal administration allows them to focus on programming activities. 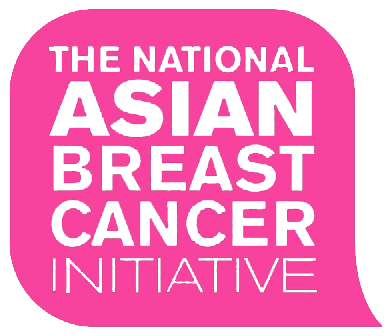 National Asian Breast Cancer Initiative – The National Asian Breast Cancer Initiative (NABCI) is a campaign organized by a group of influencers, connectors and activists concerned about the unique issues that Asian women face related to breast cancer. NABCI is a not-for-profit pilot project currently spearheaded by the Privy Groupe, fiscally managed by APCF, and endorsed by the Asian and Pacific Islander National Cancer Survivors Network, which is part of the Asian and Pacific Islander American Health Forum. Apl.de.ap Foundation – The Apl.de.Ap Foundation is a non-governmental organization committed to empowering Filipino youth. We partner and collaborate with organizations on creative and innovative approaches to arts and technology. Our goal is to provide the tools to individuals, who are passionate and driven to make a difference in their lives and in the lives of others.